Near record-breaking heat. More hills than anyone thought possible in Louisiana. Almost more obstacles than could fit on to one course. The type of epic event that makes you question why you paid for this, but when you’re done you can’t wait to do it again. 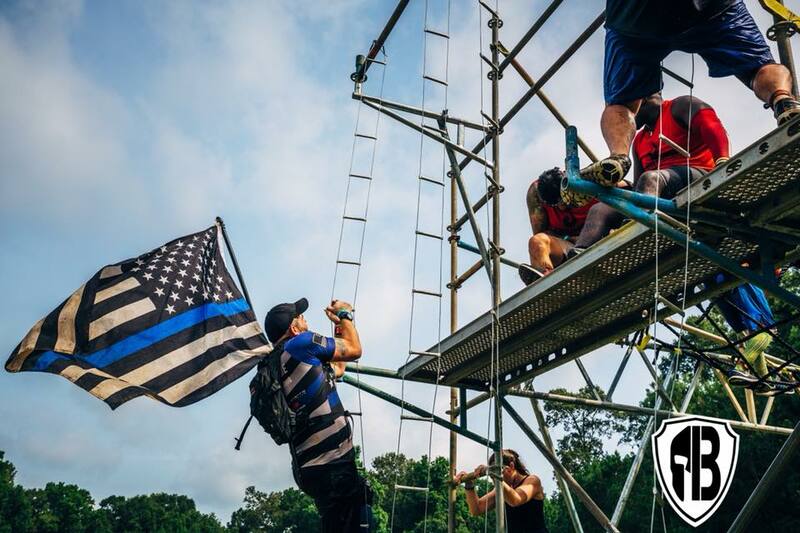 That’s the Battle OCR that took place on July 21, 2018 in St. Francisville, Louisiana. If I had to describe a Battle OCR to someone that has never done one, I would describe it as a cross between American Ninja Warrior obstacles and Spartan’s test of strength and endurance, but really it’s more than that. It’s a course designed to see what you’re made out of and to push your limits. This race definitely did that. The 5+ mile course was 75% hilly wooded trails, everything from easy dirt roads to challenging steep in and out single track through muddy creek beds and across remote ridges. The other 25% was wide open grass field around the festival area where the majority of the man-made obstacles were set up. I did hear complaints about people going off course because of the lack of trail markings. I did see people from the elite wave running through the parking lot to get back to the festival ground because they were that far off course. It was like going on a hike at a remote state park, where the trail isn’t marked so well anymore. Part of the challenge is to find the next trail marking, but if I had gone off course for more than a few minutes, I might’ve felt different about that. My only real complaint was the lack of water. I heard rumors of three water stations, but I only came across two and one was almost out of water when I arrived. With the temperatures in the 90's and the feels like temperature in the 100's, there needs to be a lot more water. 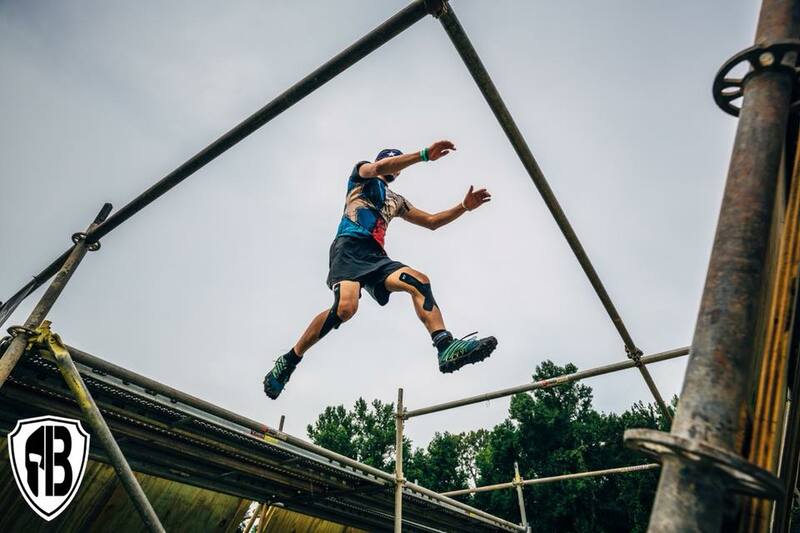 Beyond the heat, the obstacles ranged from the common bucket carry (although there was nothing common about) and longest monkey bars that I've ever seen to signature obstacles like #Triumph and #Thrive Series. My favorite obstacle was the bucket carry. It started with a path up, followed by a steep single track down. Okay, it wasn’t even a single track trail. There was almost no way to carry the bucket down. It was more about staying upright while dragging it down without letting it roll down on to the people below you. #Triumph and #Thrive Series are two back to back obstacles sets. It starts with a dragon back obstacle where you had to jump from one platform to another. It’s a jump that looks further than it actually is and even if you’ve done it a few times, you’ll have to keep your fear of falling in check. Once you got past your fears, it was followed by a rope swing on to a cargo net. It's topped off with a rope climb. As far as the monkey bars, they looked innocent enough from a distance. Then you get closer and see just what you’re up against. It was really two long sets of monkey bars, put together. They were generous enough to put a bar across a foot level in the middle for an optional break. It loses points because of the lack of water on the course, the closed obstacles, plus no food or drink vendors in the festival area (Someone correct me if I’m wrong, but we couldn’t find it.) and the heat. However, I loved this race. I fell like it tested me and I pushed beyond my limits. The terrain was spectacular and the obstacles were a lot of fun. Plus, it was awesome to have the majority of the obstacles where my family could see me. It gave me the push to keep going through the toughest physical obstacles towards the end. To me those outweigh the negatives. I smiled when I saw the announcement for this event earlier this year. Now, I’m not going to lie, I can’t wait for the next Battle OCR. Have you done an Battle Races?